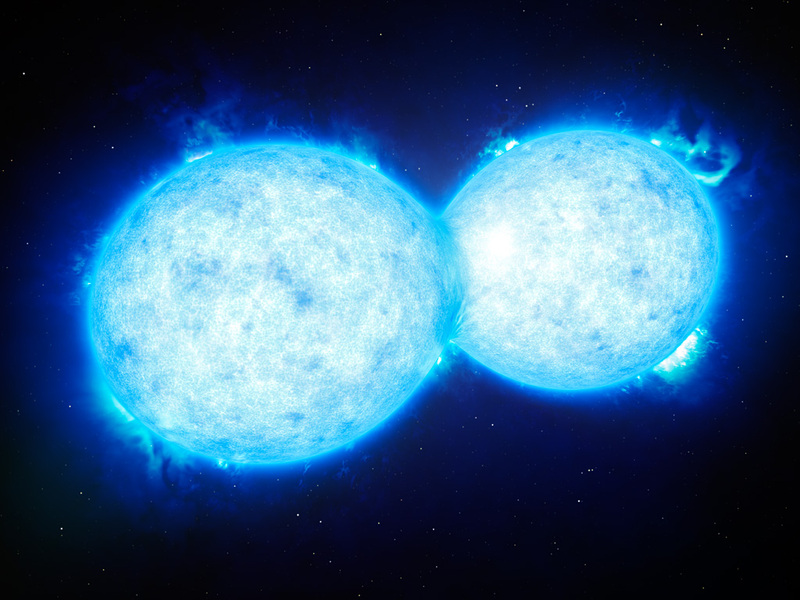 This artist’s impression shows VFTS 352 — the hottest and most massive double star system to date where the two components are in contact and sharing material. 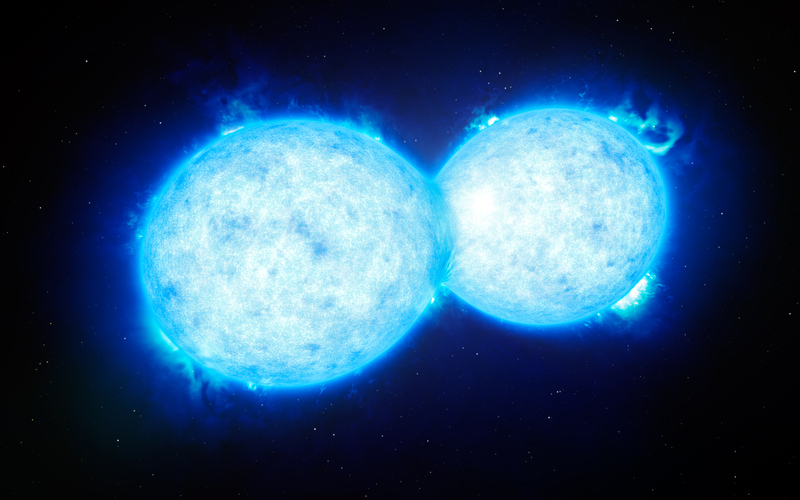 The two stars in this extreme system lie about 160 000 light-years from Earth in the Large Magellanic Cloud. 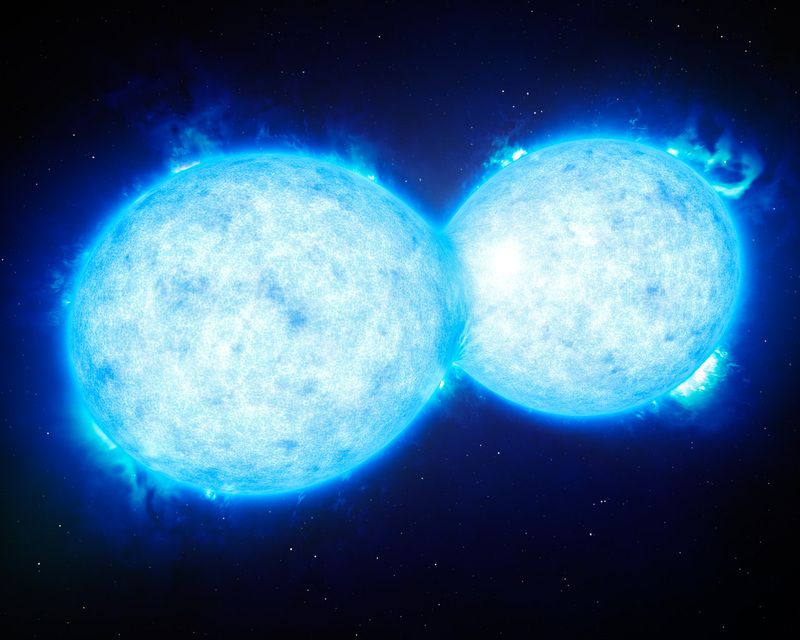 This intriguing system could be heading for a dramatic end, either with the formation of a single giant star or as a future binary black hole.